Homemade Toaster Pies for a Happy Pi(e) Day! Homemade toaster pies are so much tastier than the kind you can buy in a box! Flaky, homemade pastry crust holds a sweet strawberry jam filling. 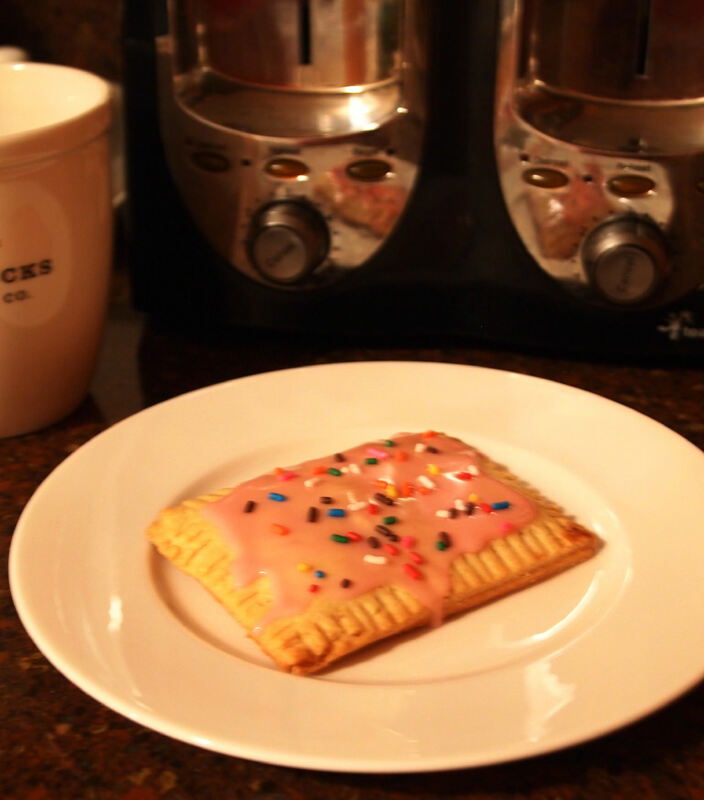 The toaster pies have delicious icing and sprinkles for an extra fun morning treat! Photo copyright M. Antcliff for Comfortably Domestic. All rights reserved. In 2009, the U.S. House of Representatives past a resolution declaring March 14 to be National Pi Day,to commemorate the mathematical constant π, or Pi. Pi is the relationship of the radius of a circle to it’s diameter, with is always approximately 3.14. (3.14 = 3/14 = March 14th. Get it?) I say approximately, because in 1999, a couple of Japanese mathematicians calculated Pi to 206,158,430,000 decimal places, so that 3.14? That is Pi rounded to the nearest hundreth decimal place. I bet those guys are a Barrel of Laughs at parties. I know what you’re thinking, so you might as well come out and say it. Go ahead, I can take it! Has Kirsten lost her ever-loving-mind? Why is she yammering on about mathematics that I happily forgot in the 6th grade? How does any of it relate to being Comfortably Domestic?! The mirror image of Pi looks exactly like PIE! And we all know how much I love pie! Get it?! Today is ripe with puns, eh? Hoo-Boy! Good thing I amuse me. But these little pies are no laughing matter, because they’re Toaster pies! All the fun deliciousness of a hand-held pie that can also be warmed-to-gooey in the toaster. How fun is that?! Oh my goodness. 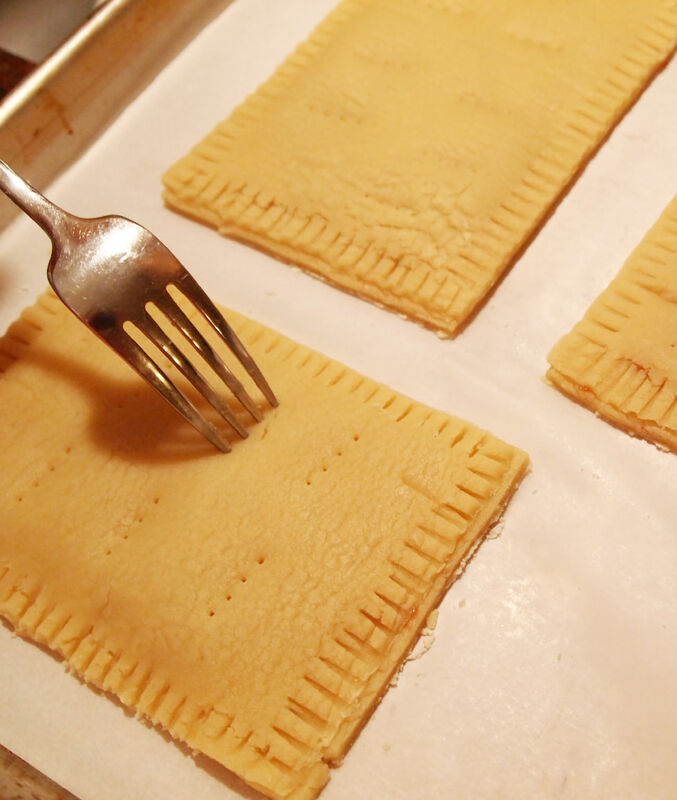 Did she really make homemade Pop Tarts? That girl has lost her mind! A million five or so years ago, I ran across an Alton Brown recipe called “Pop Goes the Tart” in his book I’m Just Here for More Food. Have I mentioned that cookbook before? Suffice it to say that the name got my attention, and once I read about what it really was, well…let’s just say that it has been on my To-Try list ever since. Enter several trials/errors/modifications and I ended up with Toaster Tarts. 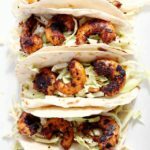 Because why buy pantry items when you can make them with considerably more effort? I’m a nut and you all know it. Questionable sanity aside, these toaster pies aren’t even in the same league with those other silly little Pop Tar pies. Toaster pies are so much better! 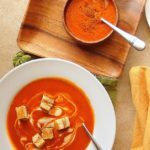 I think the omission of a bunch of ingredients that you can’t even begin to pronounce has a little something to do with it. Sorry…I don’t mean to bash the Old Standby of Childhood. I’m just a little bitter because I was never allowed to have them as a kid. But only the unfrosted ones. And only if I smeared a thick layer of peanut butter on top for the protein. Now that I’ve touched on every random tangent I can think of, let’s make some strawberry toaster pies! They’re actually kind of fun to make. 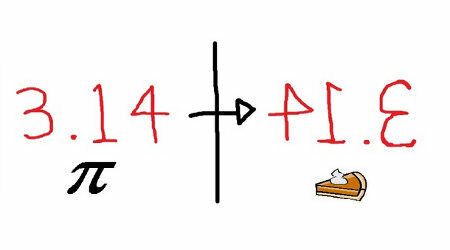 Consider it baking up a whimsical Nod to Childhood–and to Pi, because that is the whole (loose) premise of this post. 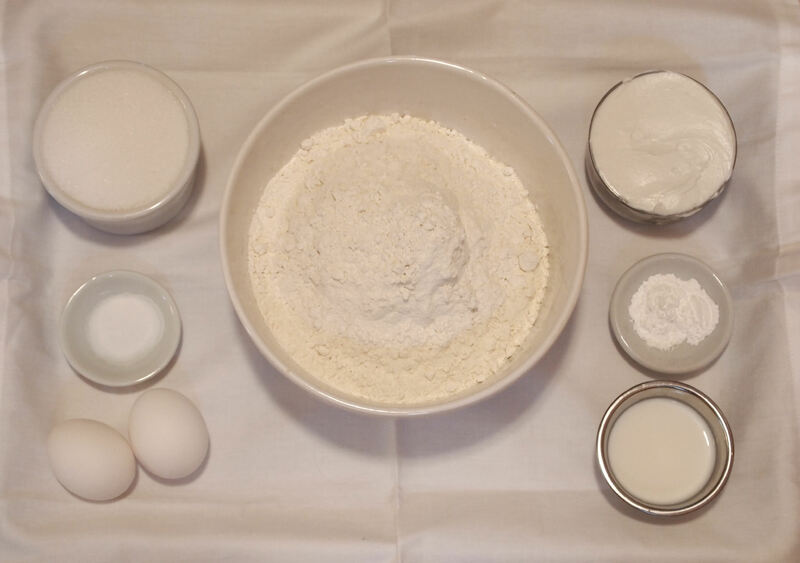 The pastry dough is simply all-purpose flour, granulated sugar, shortening, baking powder, salt, eggs, vanilla extract, and milk. 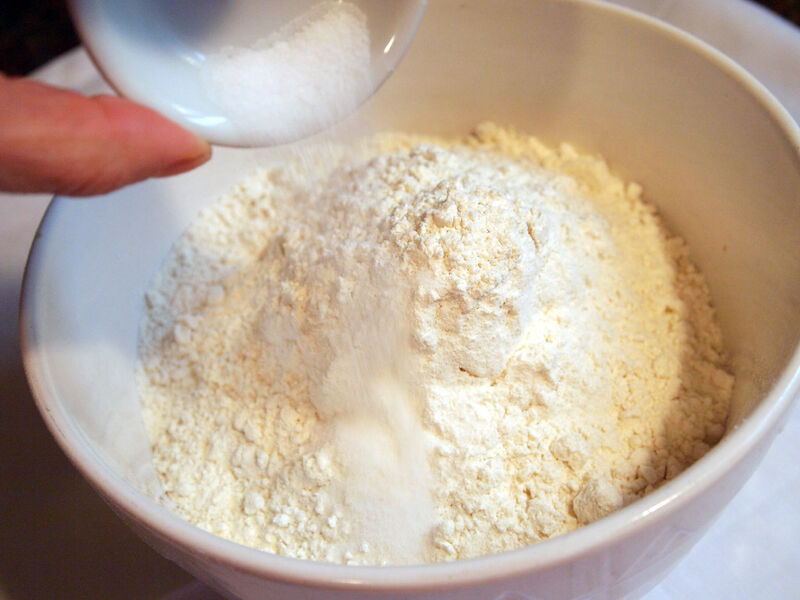 Measure the flour into a medium bowl, and pour in the salt. 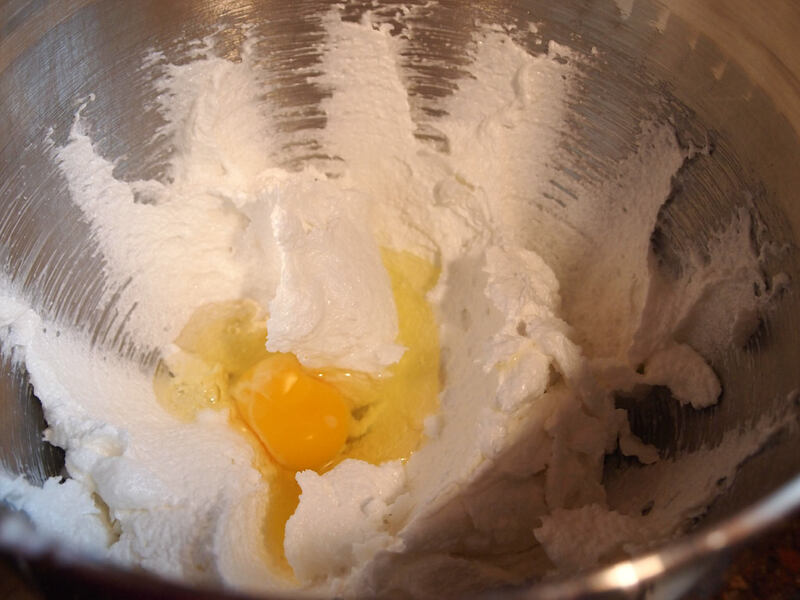 Add the baking powder, and whisk to combine. 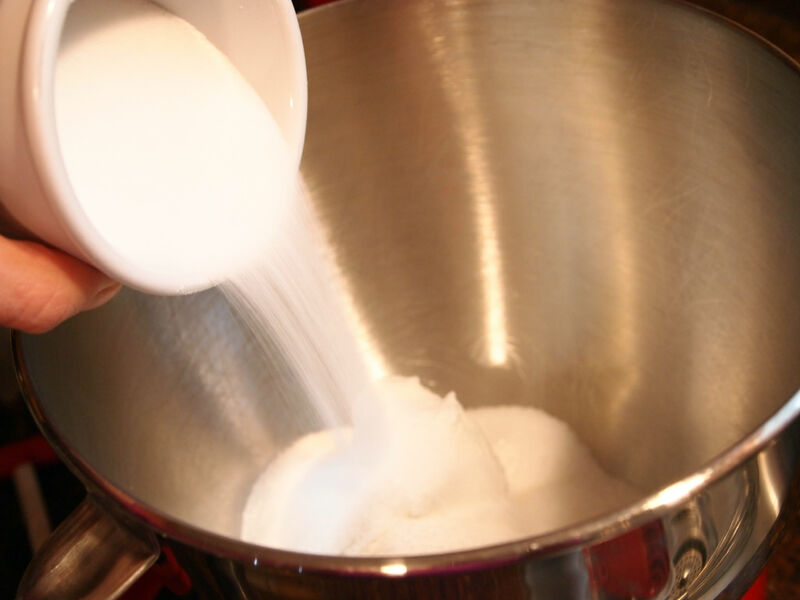 Place the shortening and granulated sugar in the bowl of a stand mixer. Cream on medium speed until light and fluffy. 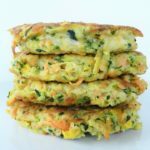 Mix in the eggs, one at a time, until they’re fully incorporated. 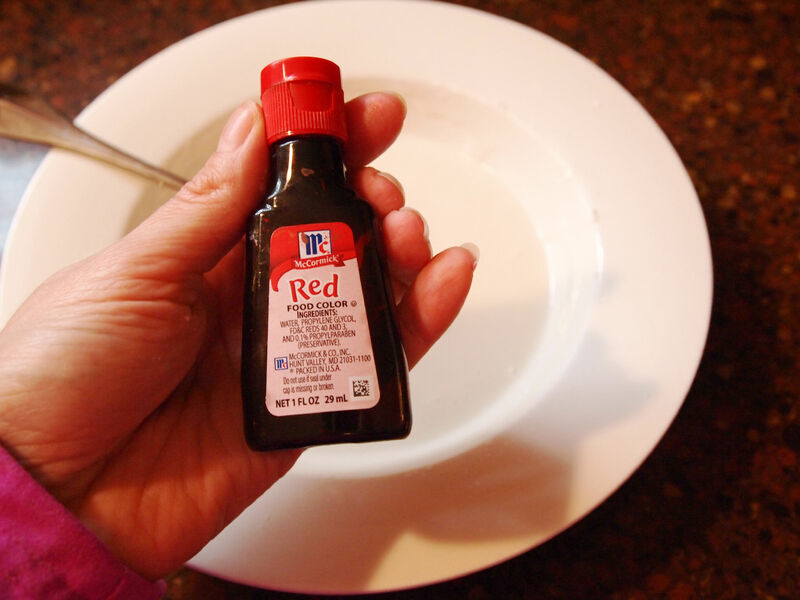 Pour in the vanilla extract, and stir to combine. alternating with the milk, until both the dry ingredients and milk are fully incorporated. Doing this in thirds allows the flour to absorb the milk slowly so that the dough doesn’t get gummy. 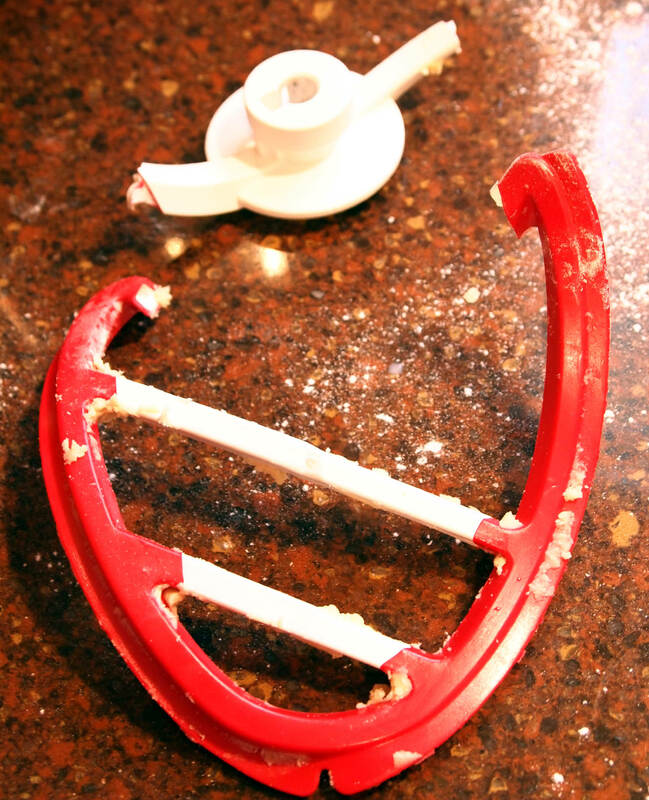 Gummy dough = tough dough. 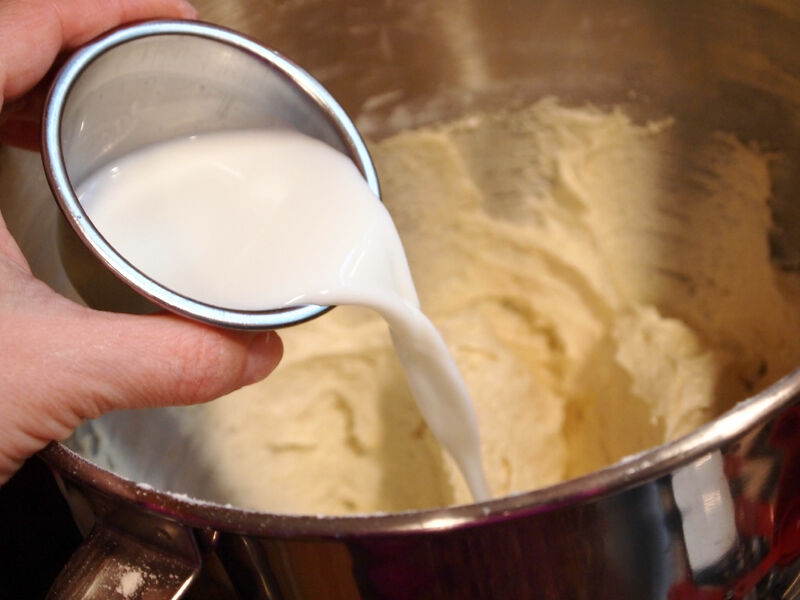 Adding a little at a time will also decrease the amount of flour & milk that winds up splattering out of the mixing bowl and onto the counters. 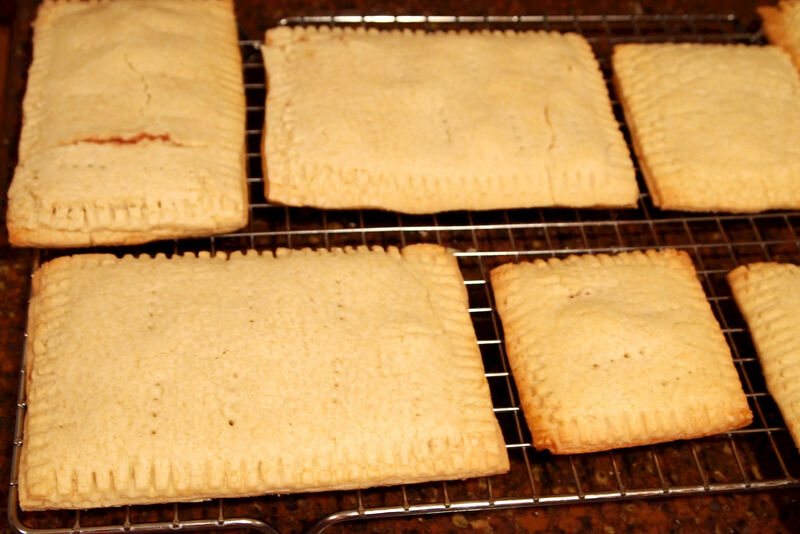 The finished dough for your toaster pies should be the consistency of sugar cookie or shortbread dough. Oh! Here’s a Hot Tip: When the manufacturer says that you shouldn’t use a scraper-paddle with overly dense dough…they really mean it. Oops! 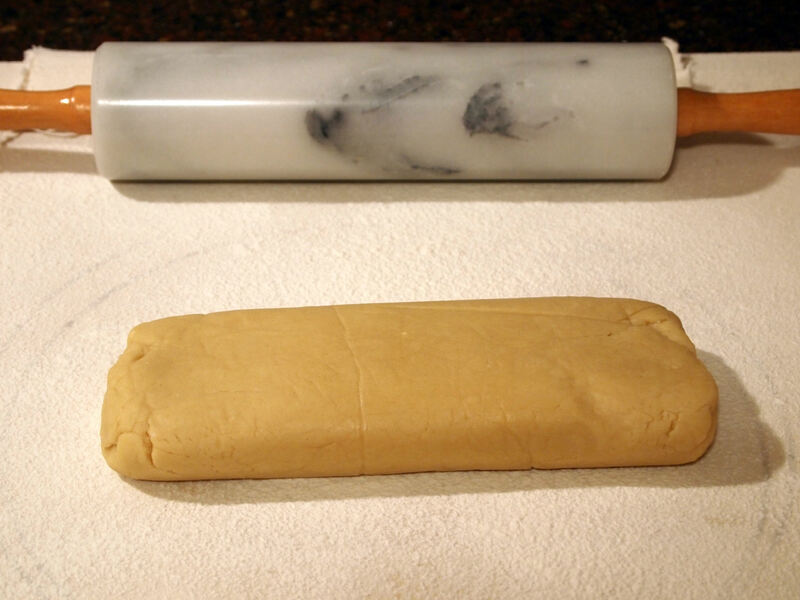 Turn the dough onto a large sheet of waxed paper, and roll it into a large log. Divide the big log in half. Roll each half into a smaller log, before flattening it to about 1-inch thickness. You should end up with two 10″ x 3″ x 1″ oblongs. 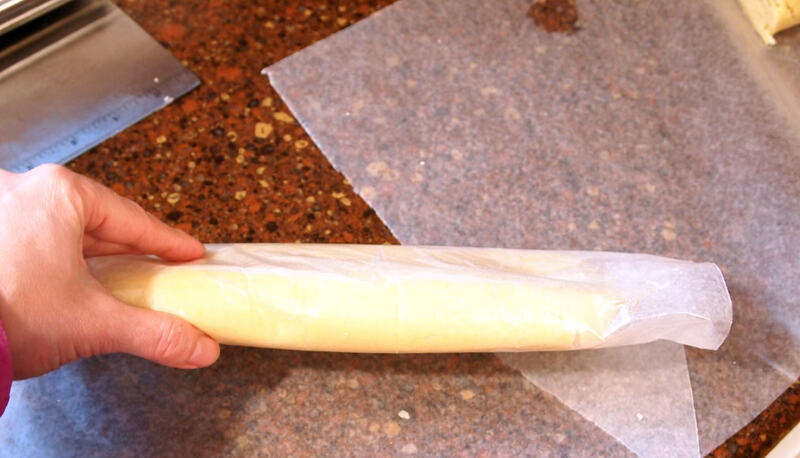 Wrap each oblong tightly in waxed paper before chilling them in the refrigerator for an hour. While the dough is chilling, gather the ingredients needed to assemble and ice the toaster pies. 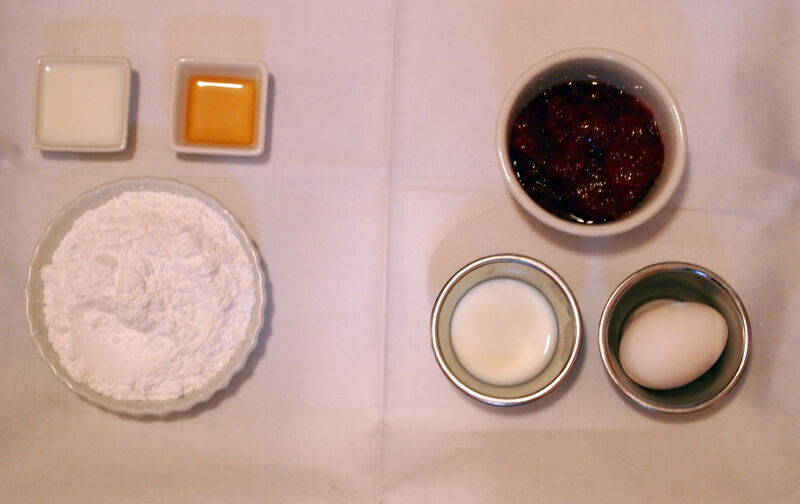 You will need powdered sugar, milk, vanilla extract, strawberry (or your favorite) jam, an egg, and a little water. and whip the white with a little water until it gets nice and frothy. This will be the “glue” that adheres the two sides of the pies together. 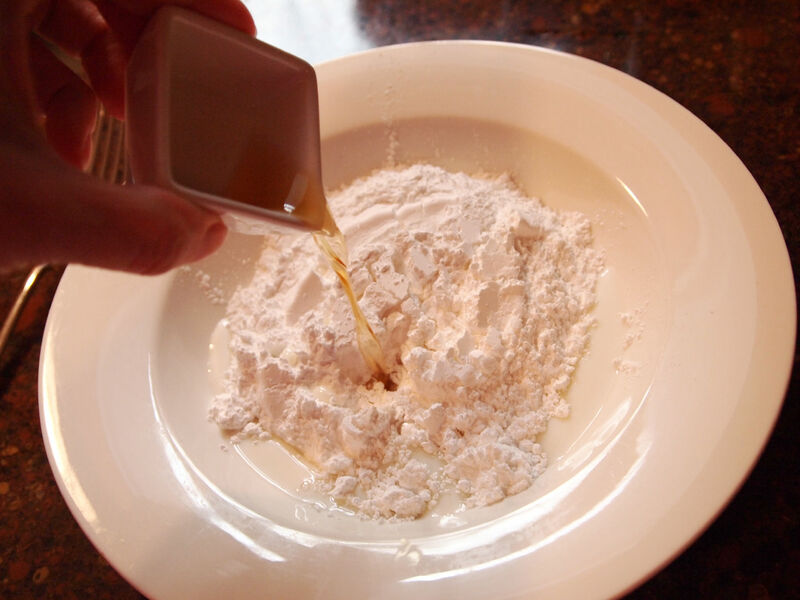 Place the powdered sugar, some milk, and vanilla extract in a shallow bowl. 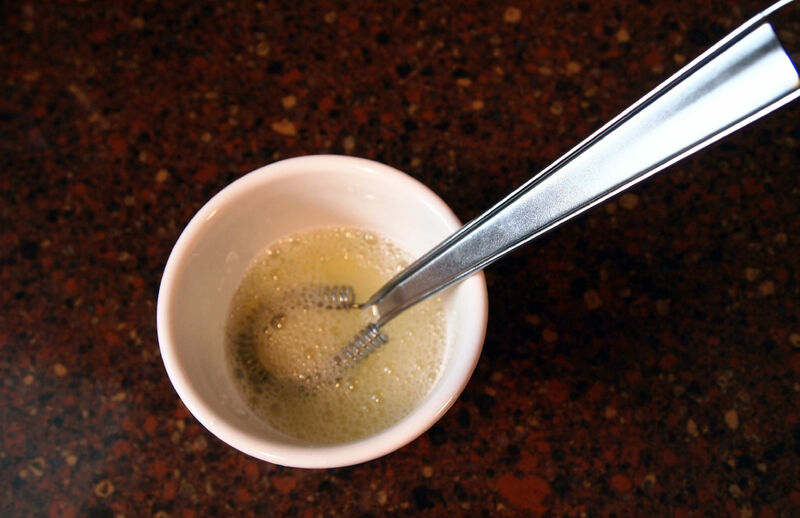 Stir with a fork until smooth. The icing is tasty as it is, but if you want to have a little more fun, add a drop or two of food coloring to tint the icing. Since I am the only female in a house full of males, I seize every opportunity to infuse a little pink into my world. Cover the bowl with plastic wrap until you are ready to use the icing. Preheat the oven to 350° F. Line two half-sheet pans with parchment paper and set them aside. 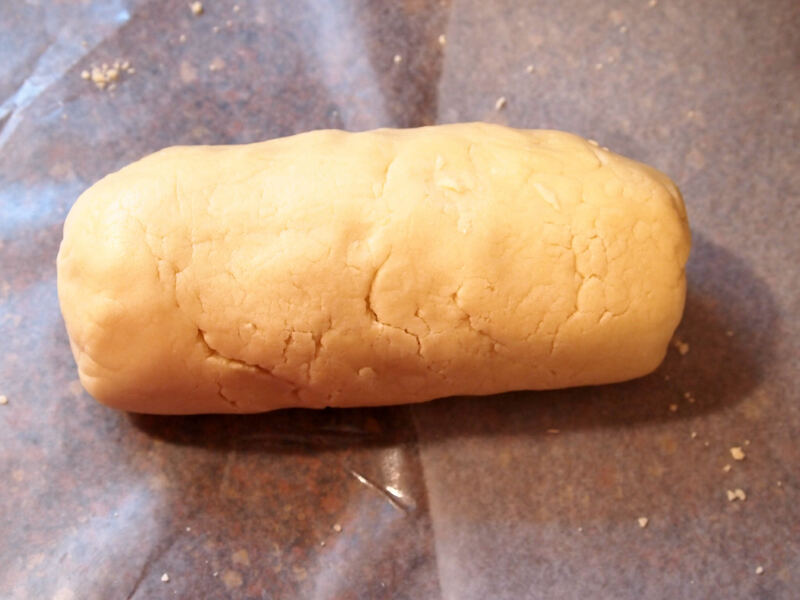 Take a chilled oblong of dough out of the ‘fridge, and place it on a floured work surface. 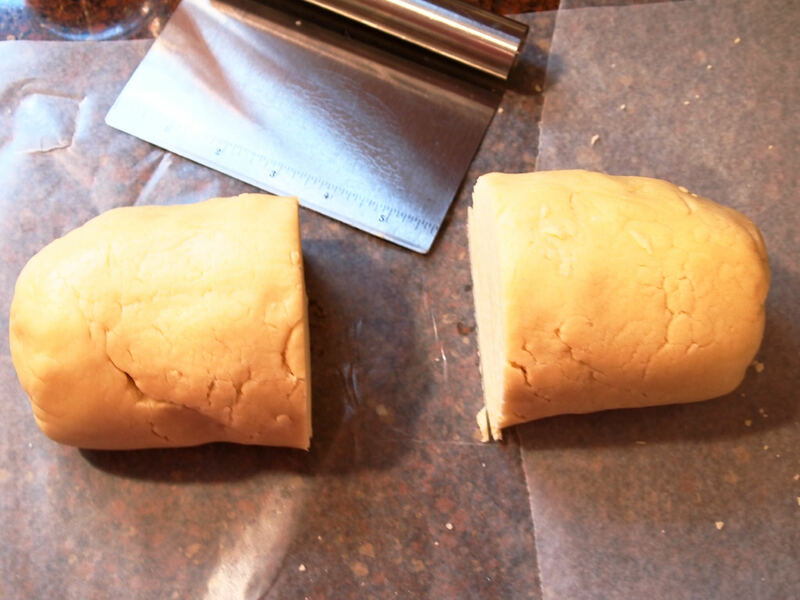 Roll the dough into a large, thin rectangle, approximately 14″ x 12″ x 1/8″ in size. If the dough seems to want to crack, let it sit for 10-15 minutes to warm up a bit. Small cracks can/should be pinched back together. 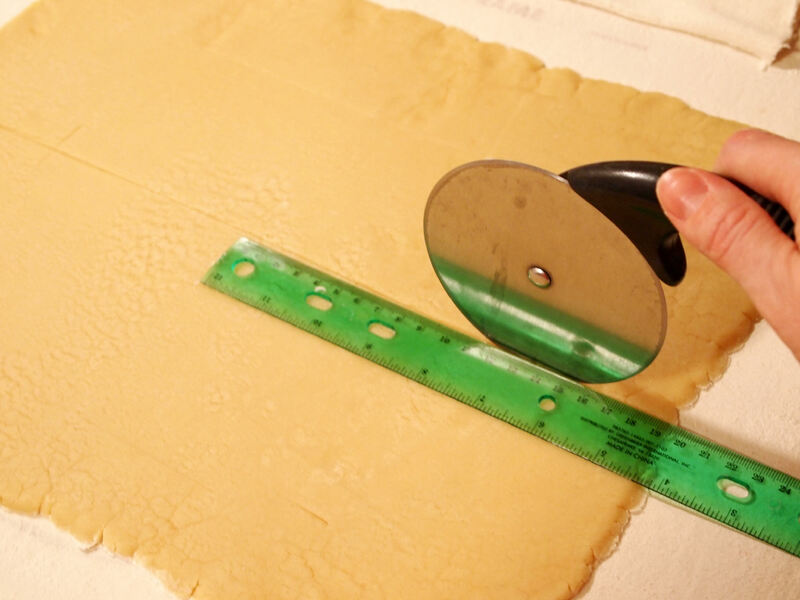 Use a ruler to guide a pizza wheel to cut the dough in half lengthwise. Each half should now be about 6-inches wide. Afterward, use the ruler to guide the pizza wheel to cut the dough into fourths width-wise. You should now have eight 6″ x 3″ rectangles. (Give or take a bit.) Each Toaster Pie will need two rectangles: one for the bottom and one for the top of the pie. In a perfect kitchen, these rectangles would be exactly the same size. Since my kitchen is far from perfect, my rectangles are imperfect as well. If yours are also imperfect, just match up the best looking pairs, using the larger of the two for the bottom of the pie. Decide which pieces will be paired before moving on to the next step. Use a thin spatula to transfer four of the rectangles to one of the prepared baking sheets, setting them about 2-inches apart. 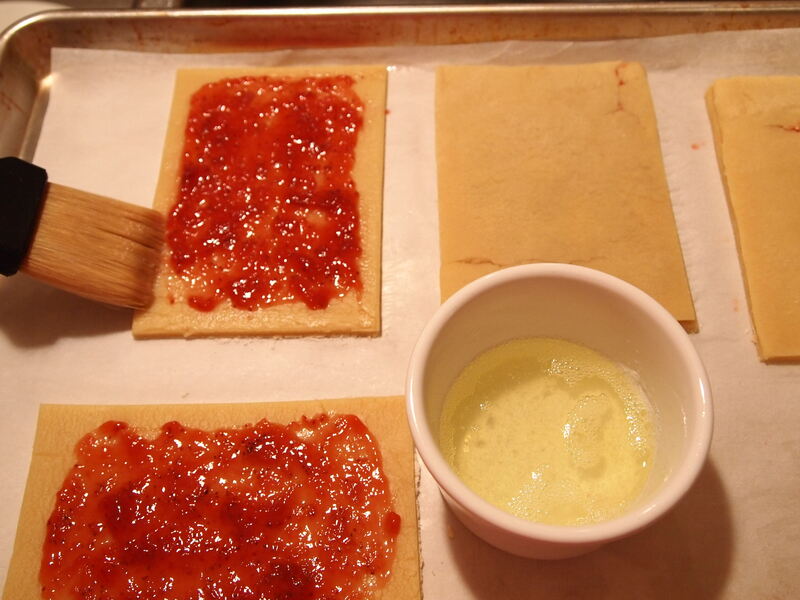 Thinly spread a tablespoon of the jam on each rectangle, leaving a 1/4″ margin around the perimeter. Brush the perimeter of the rectangles with the egg white wash before covering them with another piece of dough. 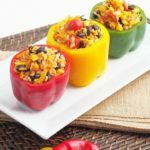 Lightly press the edges with your fingers to seal. To ensure that the jam doesn’t ooze out the sides of the pies, crimp the outer edges with a fork to further seal them. Gently pierce the only top layer of the pies with the fork to allow steam to vent while baking. 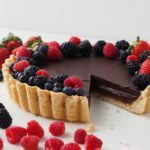 Be careful not to pierce the bottom of the pie dough or the jam will leak out the underside of the pies during baking, making the pies semi-permanently adhered to the parchment. Bake the toaster pies for 20-25 minutes, or until the edges are lightly browned. 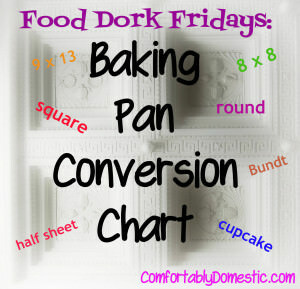 (Total baking time will depend on the size of the pies.) The finished pies are quite large for a single serving, so notice how some of the pies are squares? For those I cut the large rectangles in half to make smaller pies. Because much to The Baby’s dismay, I did not want him to eat a pop tart as big as his torso. Allow the pies to cool on the baking sheet for 5 minutes before transferring to a wire rack. Pies can be eaten as-is, warm from the oven, after cooling for about 15 minutes. However, if you are going to ice the pies, you’ll have to let them cool completely before doing so. For quality control purposes, I highly recommend eating an unadorned pie while still warm and later eating multiple toaster pies. Pour or spread icing on the cooled pies. 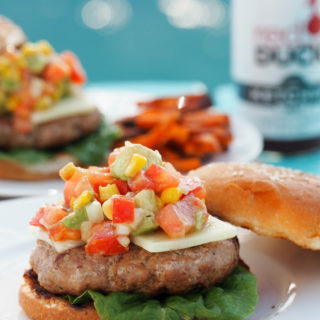 Toss on a few sprinkles if you’re feeling sassy. 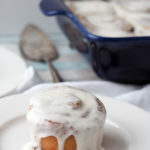 Munch on the iced pies immediately, or let the icing dry completely before reheating in the toaster for a minute or two. Leftover toaster pies can be stored in a Ziplock bag on the counter for a few days. Or….OR! Wrap the pies individually in waxed paper before placing them into a freezer bag and freeze for up to two months. To reheat, just pop a frozen Toaster Tart into the toaster for a few minutes. Flaky homemade pastry dough holds a center of sweet strawberry jam filling. 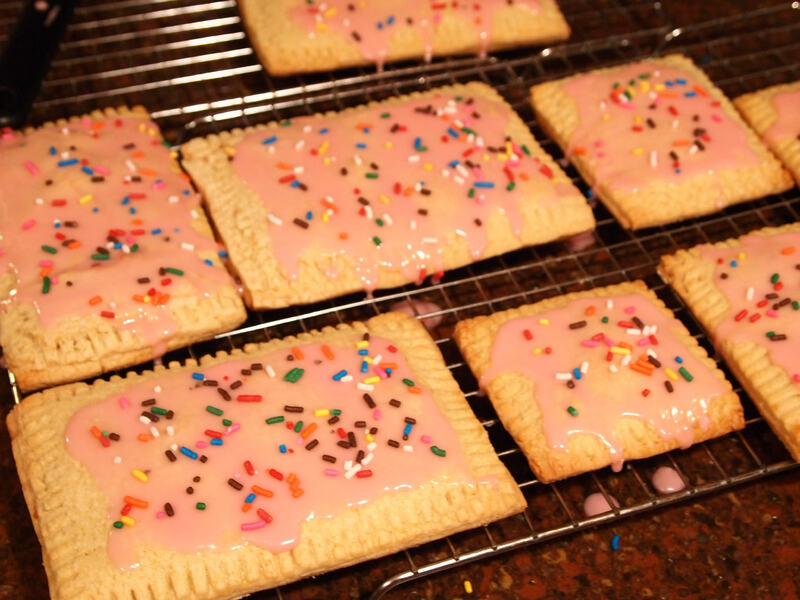 Topped with vanilla glaze and sprinkles, these homemade Pop Tarts are so much better than the boxed kind! Optional: couple of drops of liquid food coloring and colored sprinkles. 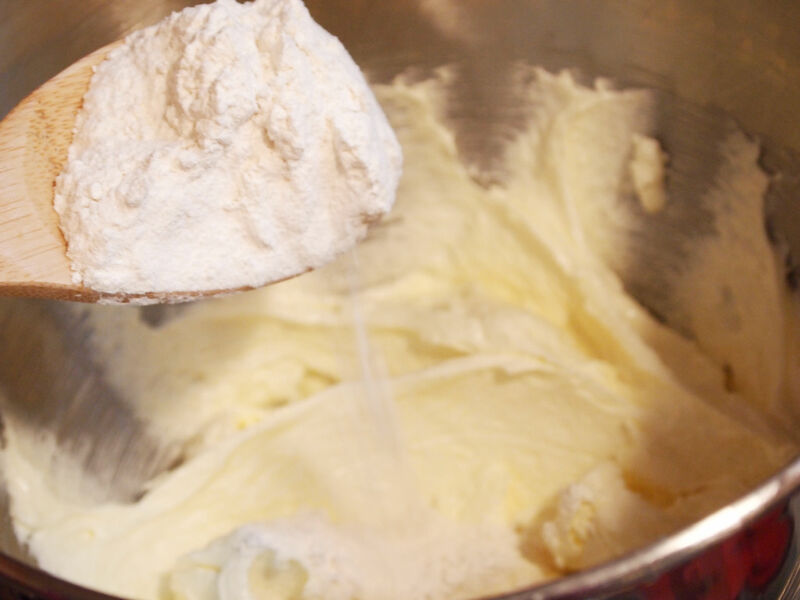 Cream together the shortening and sugar in the bowl of a stand mixer, until light and fluffy. 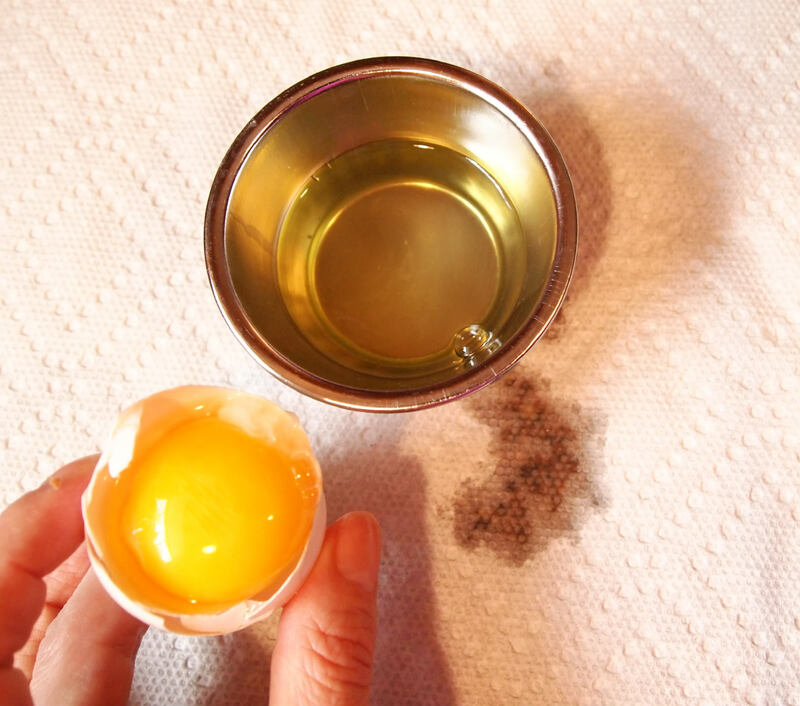 Mix in the eggs, one at a time, until blended. 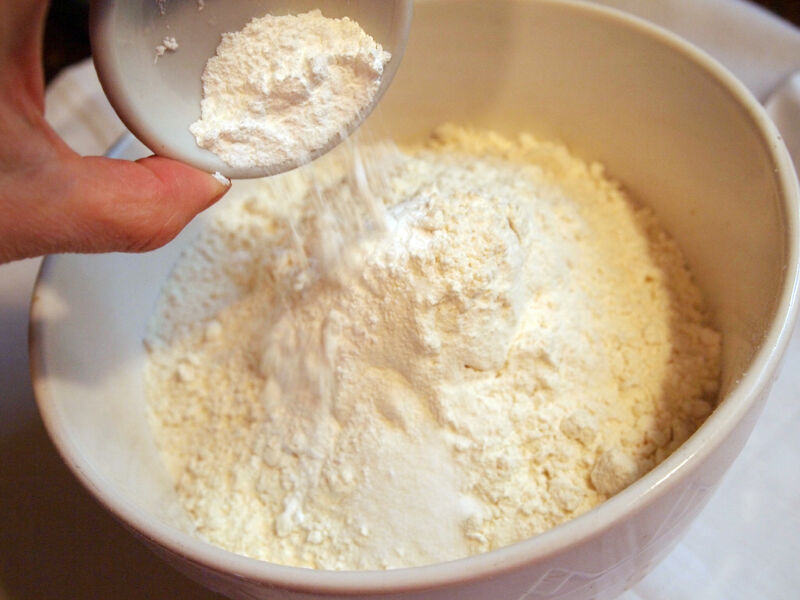 Add 1/3 of the flour mixture to the creamed mixture, stirring well to combine, and then alternating with 1/3 of the milk. 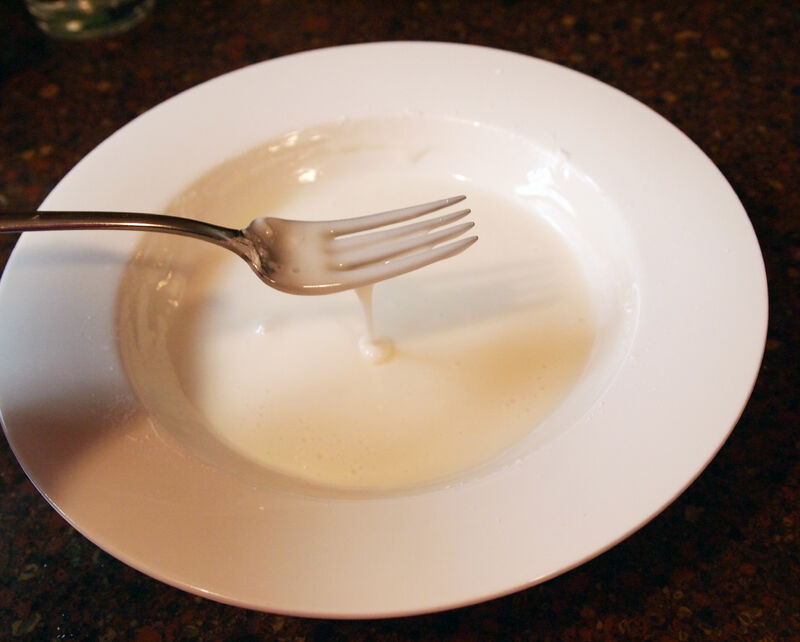 Do this 3 times until all of the dry ingredients and milk are incorporated. The pastry dough will be the consistency of sugar cookie or shortbread dough. 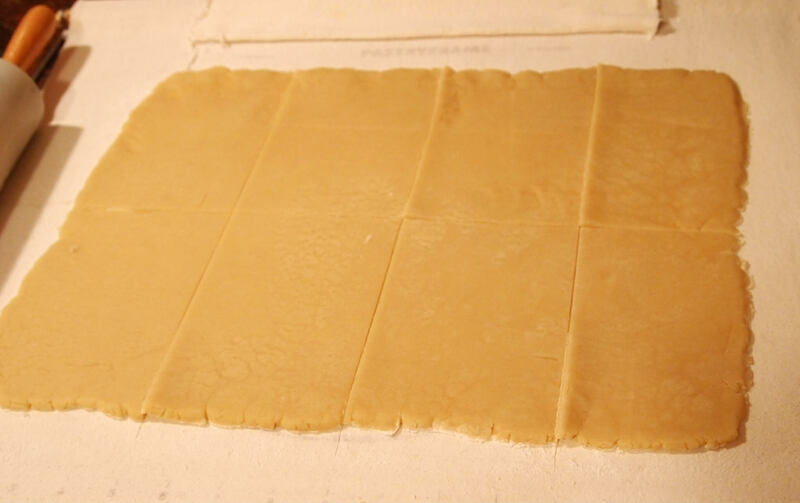 Turn the dough out onto a large sheet of waxed paper. Roll the dough into a large log, about 4-5 inches in diameter, and about 10 inches long. Divide the log in half widthwise. Roll each half into a 10-inch log, and flatten to 1 inch thickness. You will have a 10-inch x 3-inch x 1-inch oblong of dough. Repeat with the other half of the dough, and wrap each individually in waxed paper. 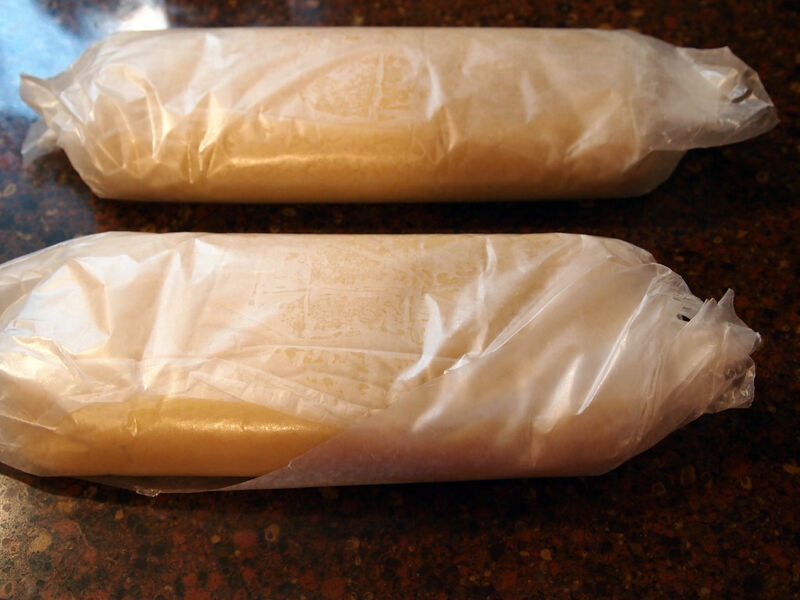 Chill the wrapped dough in the refrigerator for 1 hour. Preheat the oven to 350 degrees F. Line two half-sheet pans with parchment paper; set aside. Roll the oblong into a 12-inch by 16-inch rectangle. (More or less.) 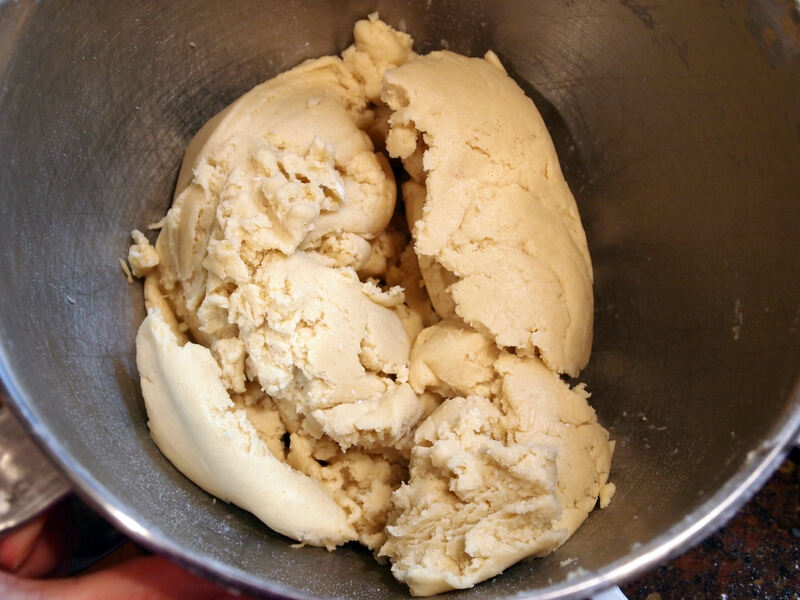 If the dough frequently cracks, allow it to rest at room temperature for 15 minutes and try again. Small cracks can be pinched back together without issue. 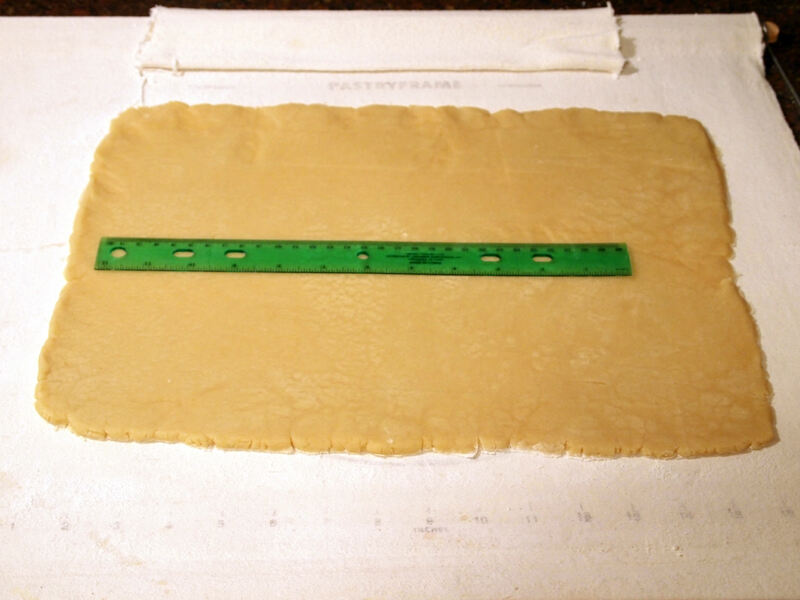 Cut the dough in half lengthwise, and then in fourths widthwise so that you have eight 6”x4” rectangles. I use a ruler to guide a pizza cutter when cutting the dough. Each pie will need two rectangles: one for the bottom and one for the top. In a perfect kitchen, the rectangles would all be exactly the same size. My kitchen is far from perfect, so I match the rectangles in the best pairs possible. 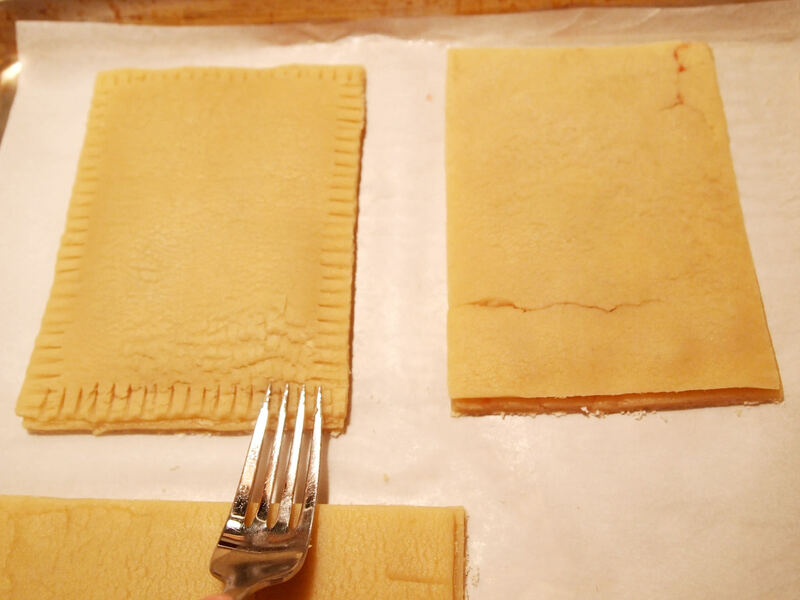 Use a thin spatula to transfer 4 of the rectangles to one of the prepared baking sheets, 2 inches apart. 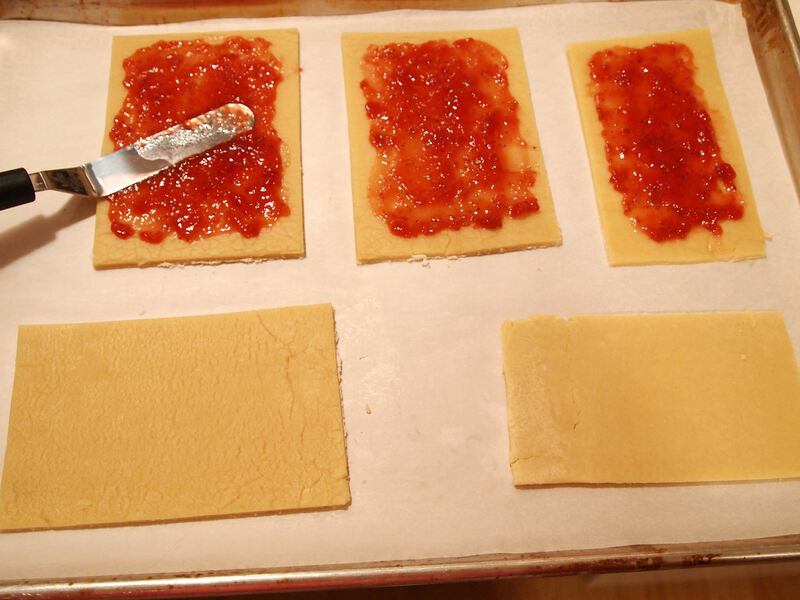 Thinly spread 1 tablespoon of the jam on each of the four rectangles, leaving a ¼-inch clean margin around the edges. Brush the egg wash around the margins of the dough, and place another rectangle on top, pressing the edges to seal. Crimp around the edges of the dough with a fork to ensure the seal. Repeat the entire process with the remaining half of dough. Bake pies at 350 degrees for about 25 minutes, or until the edges are just beginning to brown. Cool pies on the baking sheets for 5 minutes before transferring to a wire rack to continue cooling. Pies may be eaten warm, or cool them completely before icing them. 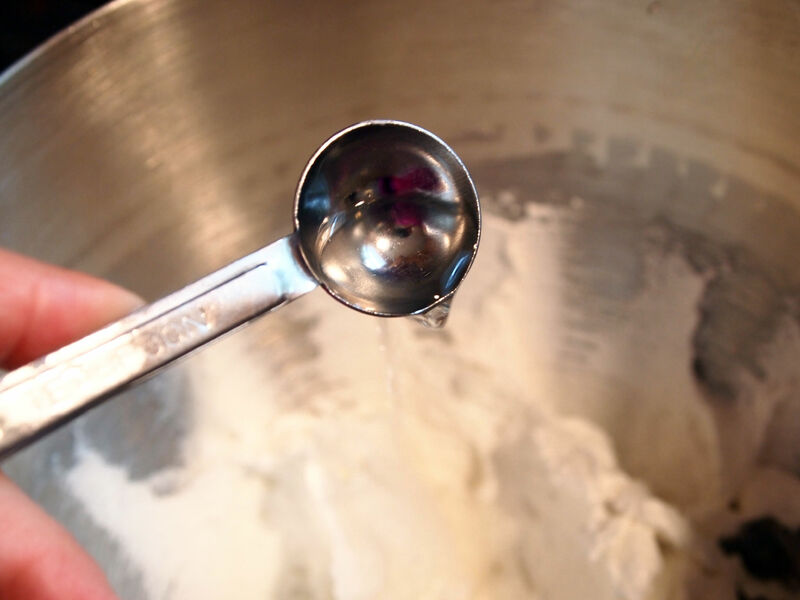 Stir together sifted powdered sugar, milk, and vanilla extract with a fork until smooth. 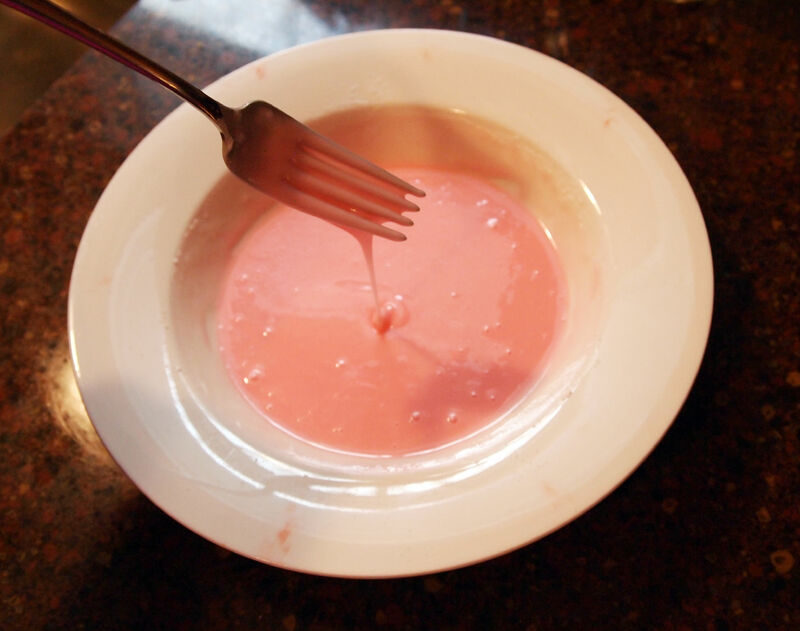 If desired, stir in a drop or two of liquid food coloring to tint the icing. 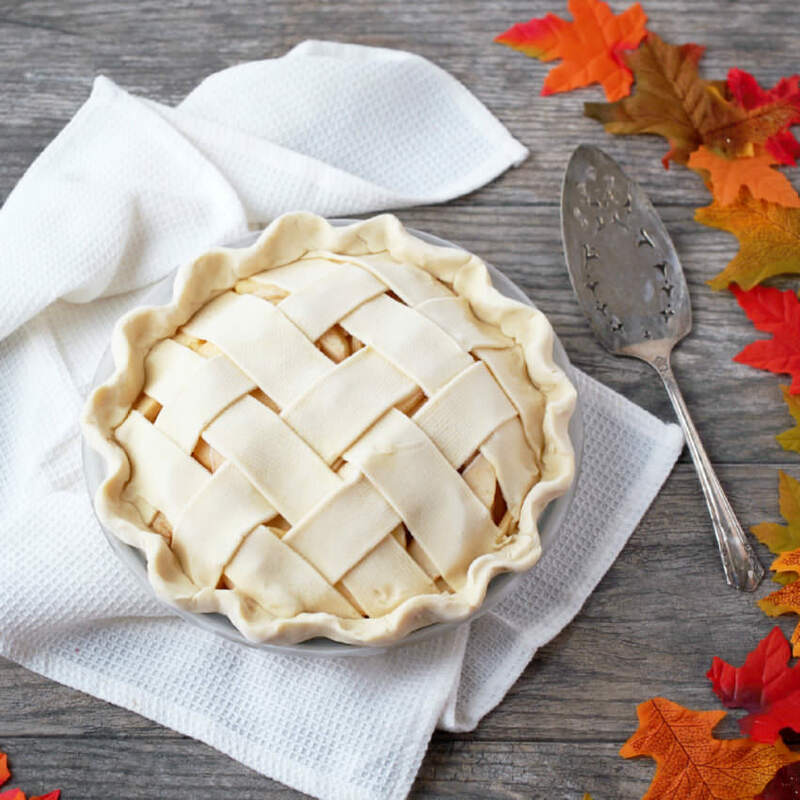 Brush or spread icing onto cooled pies. Immediately shake a few colored sprinkles over the icing, and gently press with your fingers to “set” them in the icing (if desired.) 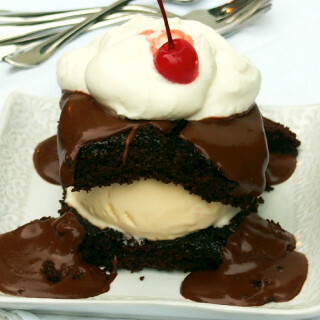 Allow icing to dry. Enjoy the iced pies at room temperature, or re-warm for a minute or two in the toaster. Leftover toaster pies can be stored in a zippered bag on the counter for 2 to 3 days. 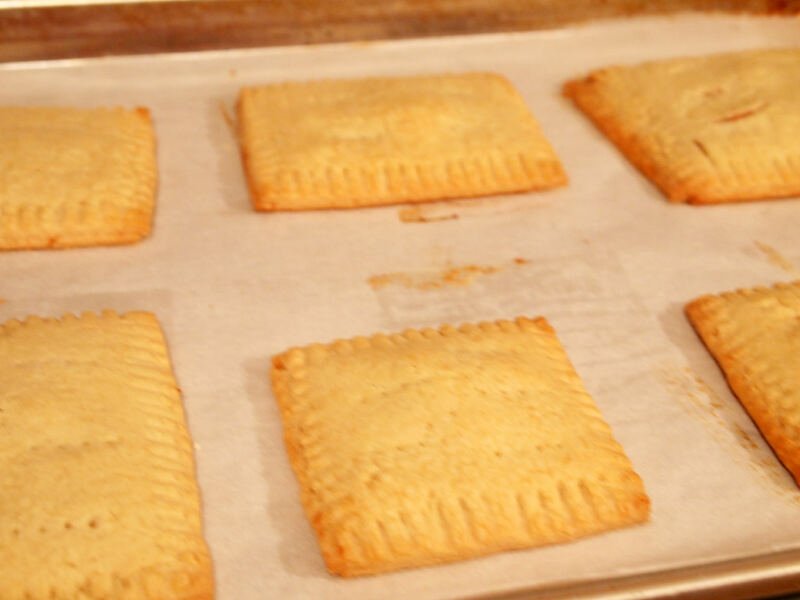 Toaster Pies can be made smaller by cutting the rectangles in half, which would yield 16 smaller pies. Pies can also be frozen for a month or so if individually wrapped in waxed paper, and then placed in a zippered freezer bag. Tonight I am giving thanks for the fact that you have produced yet another vehicle to consume rainbow sprinkles. 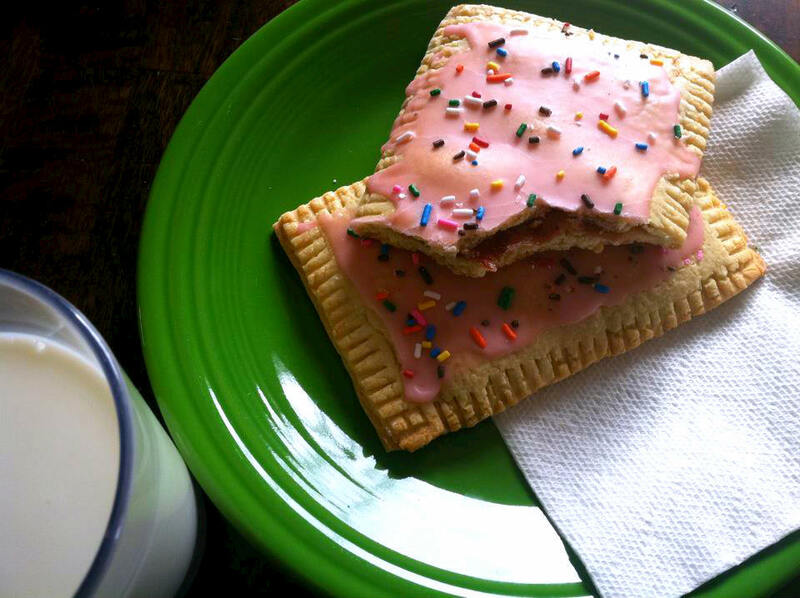 Ooops on the scraper paddle but BRAVO on these pop tarts! They are awesome and a very detailed tutorial. Thank you. Thanks! :) The paddle was a bummer, but still my own fault. You know, they might just make the cross-country trek!